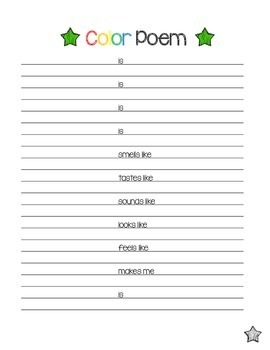 With this 54-page Poetry Book Set, students learn how to write 9 different poems using original examples, explanations, and templates. Pages are colorful, fun, and decorative. 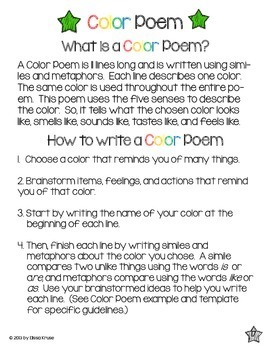 Once students have created their poetry, they can use the About the Author, Table of Contents, and Cover pages to make a complete book of their own. 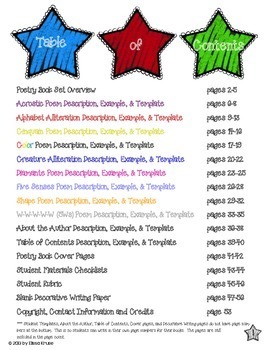 Teacher directions and examples of each style of poem are included. 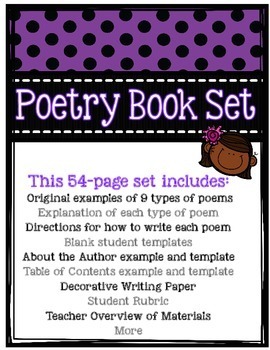 Using this set can transform student attitudes about reading and writing poetry. Once they realize that they can be poets and can have fun writing and sharing their ideas, they are completely hooked. Students really like reading each other's books when they're done too!